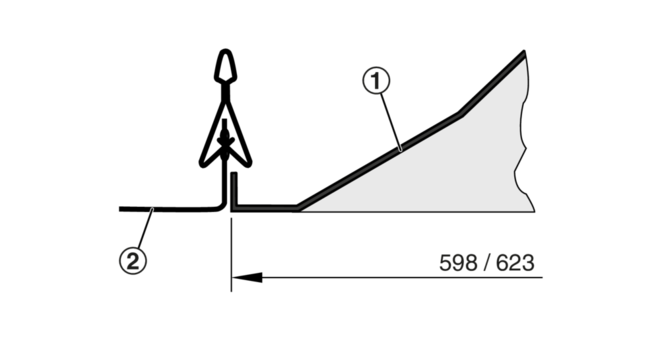 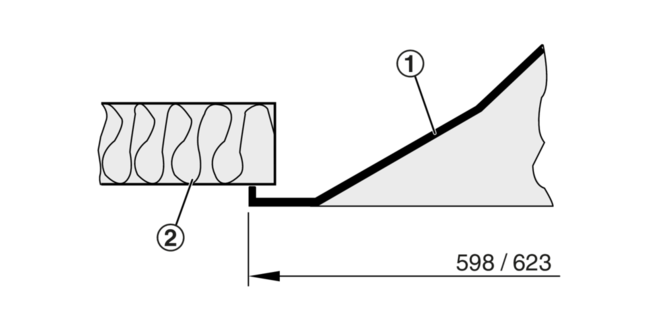 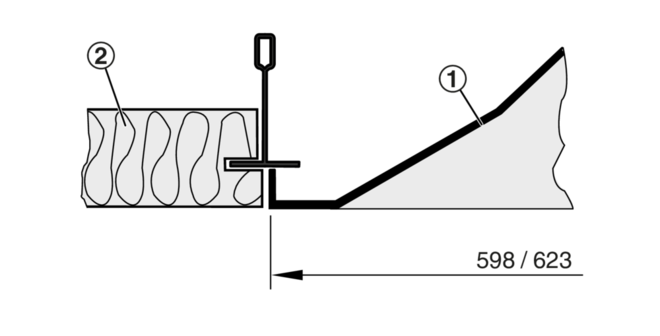 The primary air is discharged through nozzles into the mixing chamber; as a result of this, secondary air is induced. 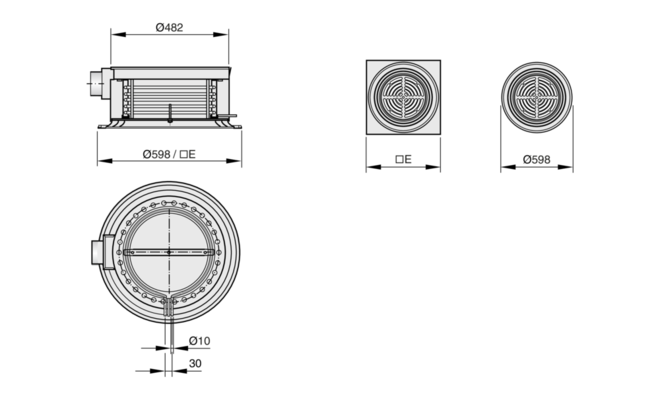 Secondary air (room air) is induced via the induced air grille and passes through the vertical heat exchanger, where it is heated or cooled. 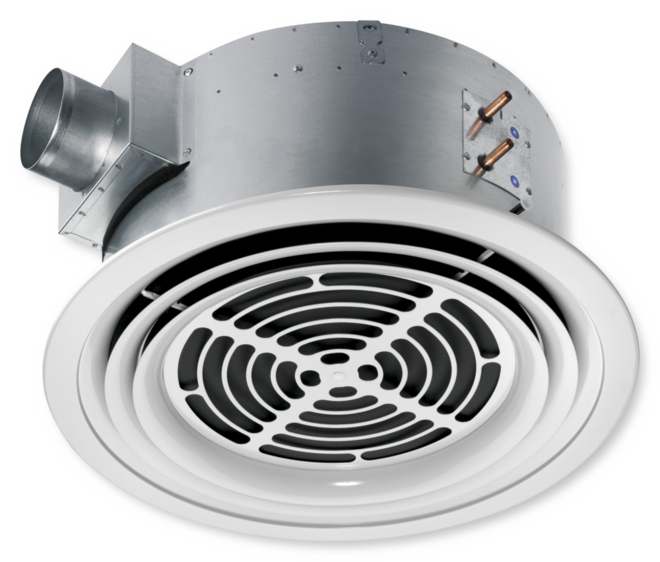 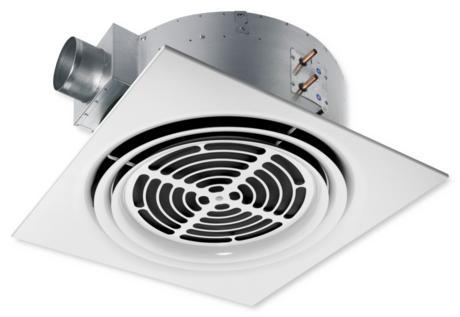 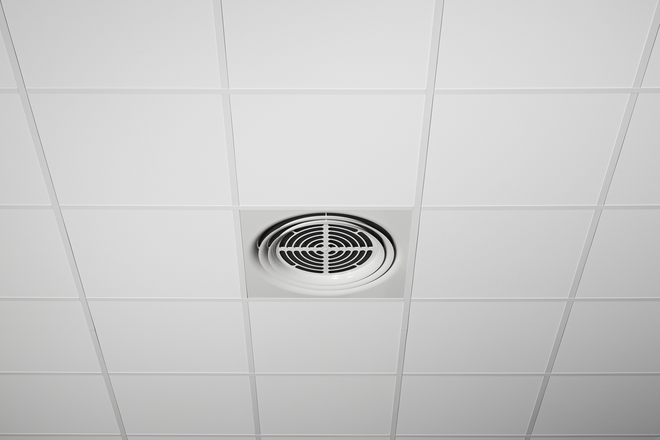 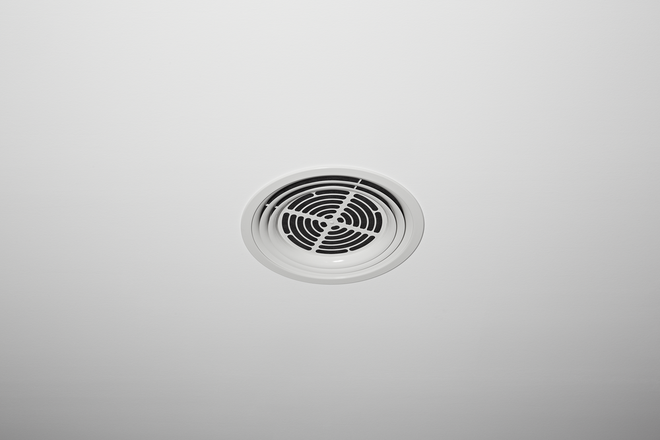 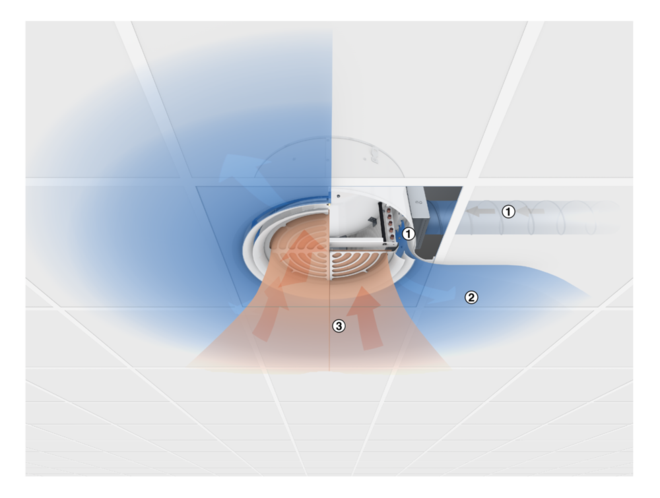 Primary and secondary air mix and are then supplied to the room through the supply air slots horizontally and radially. 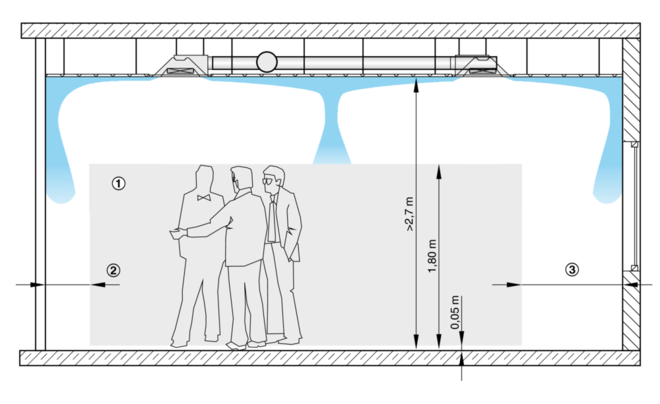 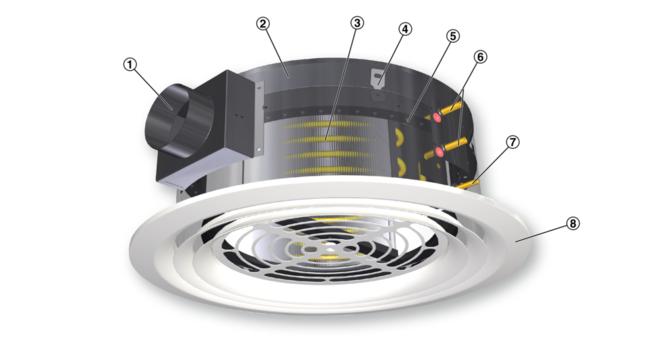 Active chilled diffusers of Type DID-R, with radial air discharge and high thermal output, providing high thermal comfort levels. 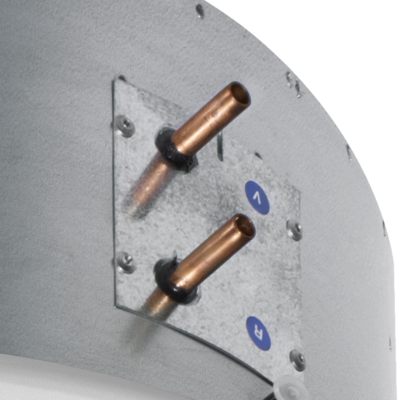 The units consist of a casing with suspension points, a spigot, and a vertical heat exchanger with condensate drip tray.